Algoscalper is a new free binary options trading software. The developer of this system claims that he can show us how he made over $4500 in a minuscule 2 hours of trading. Today I’ll be providing review and letting you know whether or not I feel this is a trustworthy investment or not. The front page of the Algoscalper website consists of a handful of different buttons, an email subscription form and a video. The video starts with a picture of a cat covered in money. The narrator in the video tells us that knowing a bit about this picture can make a person wealthy beyond belief. This is a weird marketing tactic, telling traders that they can become wealthy by looking at a picture of a cat. I’ll say at least it is original but it’s certainly not how I would market a product. Weird that the developers in this market always say they need beta testers, just release a product that’s been tested. The narrator in the video goes on to say that his Algoscalper has been referred to as the holy grail of moneymaking. I can’t say that I believe it. It’s funny, these free binary options systems always try to deceive the people coming onto their webpage instead of being upfront and transparent. There are a couple of different badges on this website that come across to me as lies, plain and simple. At the top right hand side of the page you will see that they claim to be winners of the 2014 international algorithmic trading competition. Now, if you do a Google search for this competition you will find nothing and no record of this system ever being involved in any competition online. Then, they have an image in the bottom right that says broker profits verify by option trust international. When I looked for option trust international to prove its validity there was no such thing. It’s like these developers just put together systems like Algoscalper slap a couple of badges on the website and throw it out to the public. Today I will not be recommending the Algoscalper for the reasons that I highlighted above. The system does not seem professional and any binary options developer that doesn’t understand the trust is required to build a relationship is lost. If you have something you would like to add to this review please leave your comments and concerns below. 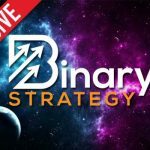 I look forward to seeing all of your remarks and I hope that my review here today help to get a little clarity about this new binary options software. Algoscalper and Binary Godfather are another two dodgy systems floating around. I nearly wet myself when i heard the fake Tony Montana Italian accent with the Binary Godfather one, it was just hillarious. Ive been using Bosignals and also take 3 trades a day using the Binary Brainwave and im making a steady income. Just keep it simple as possible thats my motto. Hope one day the scammers are closed down for good and more reputable software evolves like the Brainwave and Ascend . Hats off to these guys for making proper functioning charts to help newbies and pros alike be safe in there trading.